No Doubt Redmi Note 7 pro is the best-budgeted phone in the market right now. And the new Redmi Note 7 pro comes with the best specs and the camera. But many of the Redmi Note 7 pro users want to Install Google Camera on Redmi Note 7 Pro. Google Camera ports (also known as GCam ports) are so popular these days and most of the devices like Redmi Note 5 pro and other phone are using these ports. Even high-end flagship smartphones have benefited from these ports. The best thing about the Redmi Note 7 pro is that you can’t have to enable the camera2api on this phone. Camera2api is already pre-enabled in this phone, so you can easily Install Google Camera on Redmi Note 7 Pro. Not like the Redmi Note 5 Pro in which you have to enable the Camer2api to install Google camera. 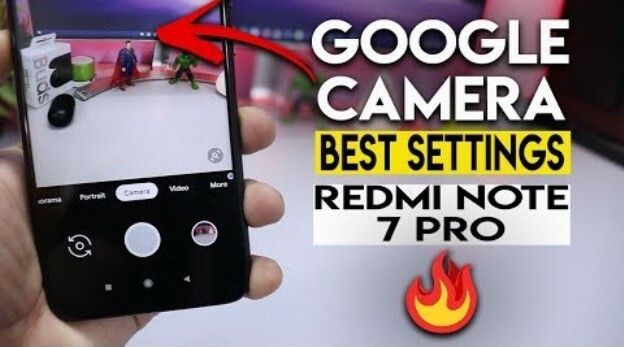 Here in this Tutorial, we will show you how to install the Gcam on Redmi Note 7 Pro and which setting you have to use to get the best click with the Google Camera. The guide is pretty simple and all it takes 5 minutes to complete the task and Install Google Camera on Redmi Note 7 Pro. As we mentioned earlier that camera2Api is pre-enabled in the phone and no need to root or unlock the phone to install the Gcam in the phone. All you have to download two files and you are done. So let get started and install the Google camera port on the Redmi Note 7 Pro. 1. Download the Google camera Apk file here and save the file on your phone. 2. Download the Technobuzznet.xml file here for the Google camera. 3. Now open the File Explorer on your phone and create GCam/Configs/ directory. Save the Technobuzznet.xml in the GCam > Configs Folder. 4. Now install the Google Camera apk on your phone. 5. Once the Google Camera is installed on your device. Open the google camera and double click the dark area around the capture button, select the technobuzznet.xml config file, and then click on “restore”. 6. That’s it. Now the Gcam is perfectly installed on your Redmi Note 7 pro. Now the Google Camera with Night Sight mode is installed on your Redmi Note 7 Pro. Now you can capture pics from the Google camera on your Redmi Note 7 Pro. If you have any question about the guide or facing some problem during the process then leave the comments below, and we will help you to fix it up.